No component affects the operation of a longboard quite as much as bearings. With lackluster bearings come lackluster rides, and there is no way around that. Whether building a complete component by component or upgrading the crummy bearings that came with an off-the-shelf complete, a good set of fast bearings will instantly change the way a new rider skates. The market is rife with different bearing brands. One thing to remember is that the size (608) of skateboard and longboard bearings is standard. 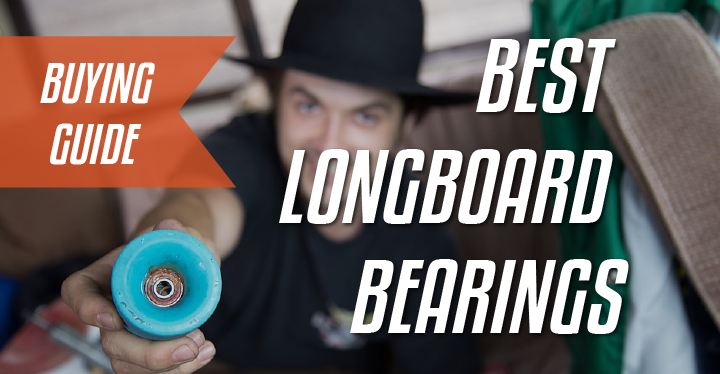 There is nothing wrong with experimenting with new and different products, but this list of the best longboard bearings of 2017 will help you narrow your wish list to some of the fastest and most durable bearings in the sport. The cream of the crop. Bones Reds easily outsell all other skateboard bearings on the market and are considered by many to be the best longboard bearing. They are made with steel races and balls with a nylon cage for ball retention. The shields on one side are non-contact and removable to aid in cleaning. 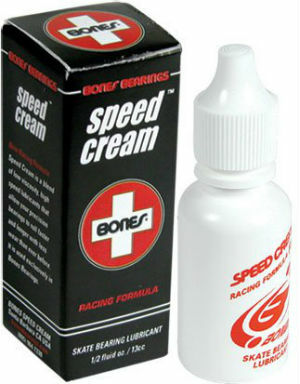 Bones Reds come prepacked with Bones Speed Cream lubricant. I recommend you get a spare one from the get go, as lubricants wear out. You can find it on Amazon.com in here. Rather than using the ABEC rating system, all Bones bearings carry the Skate Rated trademark. 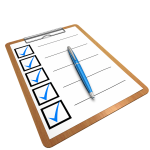 Simply put, this rating is Bones’ guarantee that the tolerances, clearances, materials and lubricant all provide the best performance for skating. Really, an ABEC rating would be less complicated than Bones’ system, but suffice it to say the Reds are one of Bones’ bargain-bearing options. Penny Skateboards’ ABEC-7 bearings come in just one color — purple. While not a deal breaker for most skaters, the purple color is quite loud. It goes well with Penny boards, though, as they tend to have off-the-wall colors. The races and balls are steel, as are the shields. 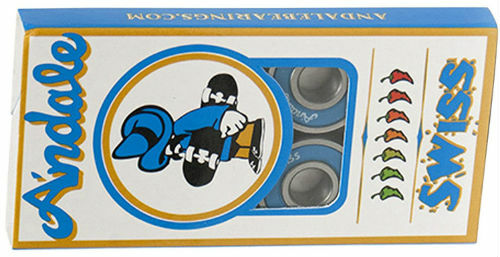 These are direct replacements for the original bearings in all Penny boards, including nickels. They are the best penny board bearings for those looking to return their Penny brand board to its stock, off-the-shelf condition. Penny’s ABEC-7s are also a great choice for any other penny or nickel board, and will work well in larger longboards. Bones’ Swiss Ceramic bearings use all the best materials to produce one of the quietest, smoothest rides available. The balls are Cerbec ceramic, which is waterproof and rustproof. They are also considerably lighter than steel, while being harder and stronger as well. This means they will not score when dirty as steel can, so they’ll keep their speed for longer. A removable rubber shield on one side of the bearing makes cleaning easier and more effective. When clean, ceramic bearings will accelerate notably faster than steel-ball bearings because the balls’ surfaces are incredibly smooth, meaning less friction to break. These bearings utilize a nylon cage to keep the balls on the race. 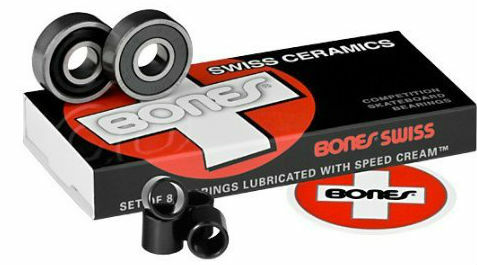 Bones Swiss Ceramics are commonly considered one of the best longboard bearings. 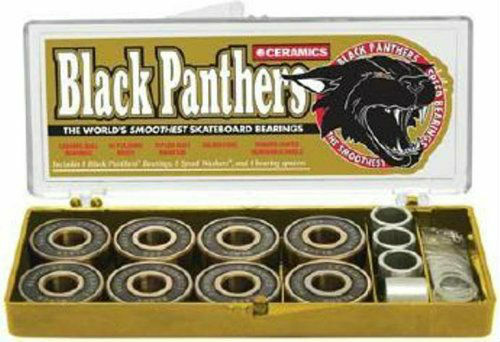 Black Panthers are made by Shorty’s, the respected and longtime skateboard bolt manufacturer. These ceramic bearings are whisper quiet, as they utilize similar balls to the Bones Swiss Ceramics, though a cheaper type of ceramic. They are fast and smooth out of the box, and improve steadily as they break in. The balls are waterproof, and they have removable rubber-coated shields. While they may not be as fast as their competitor, Black Panther ceramics are still quite fast. For the longboarder on a budget, these bearings are a reasonable substitute for Bones, and can often be found at a fraction of the cost. A set of Black Panther bearings also comes with spacers and washers, which reduce friction and keep your bearings working as they should. 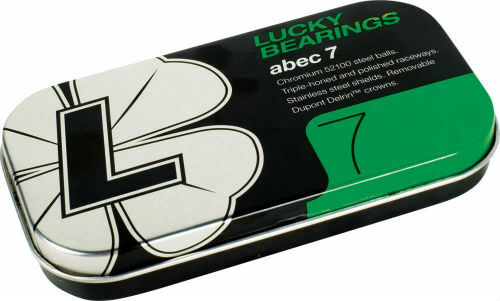 Lucky bearings are a staple in skateboarding. Fast and durable, Lucky’s get faster with use. Chromium steel balls ride on triple-honed and polished races, and the stainless-steel shields are removable for cleaning. Lucky bearings use Dupont’s Delrin polymer for their crown, which is highly abrasion-resistant. Speed and longevity are not issues with Lucky bearings, but noise is. These bearings make a loud hiss when they roll, so no one is sneaking up on anyone using Lucky’s. But if speed is a top concern and funds are tight, Lucky ABEC-7s are a decent option. 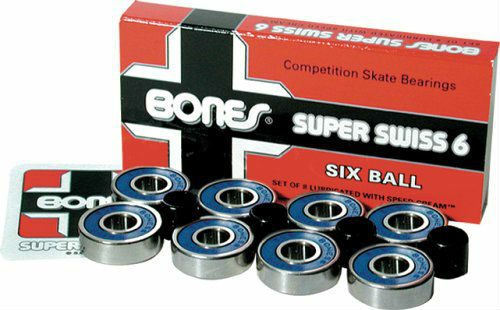 Bones Swiss have been a top bearing of choice for four decades. This is one of those times in life where you get what you pay for. Bones Swiss are essentially the same bearing as Bones Swiss Ceramics, but with polished chromium steel balls. They have a non-contact rubber shield that is removable for cleaning. While Bones doesn’t use the ABEC rating system, the Bones Swiss would rate pretty highly on the scale. They are precise and quiet, and they roll for days. However, to say they are much faster than other top-tier bearings would be inaccurate. They are as fast as any, though, and quieter than most. Andale doesn’t have the decades-long track record of Bones, but they make quality bearings that have been popular is skateboarding since 2010. Andale’s Swiss are an affordable option for riders craving a smoother ride. They feature the precision of Swiss engineering to provide smooth steel balls and races, with a durable nylon ball retainer. Andale Swiss bearings also have one non-contact removable rubber shield to assist in cleaning. These bearings may not compare head-to-head with their Swiss competition, but it would be hard to tell a difference from memory. They are as smooth as they come out of the box, and they break in even faster. With proper care, they can last a long time. 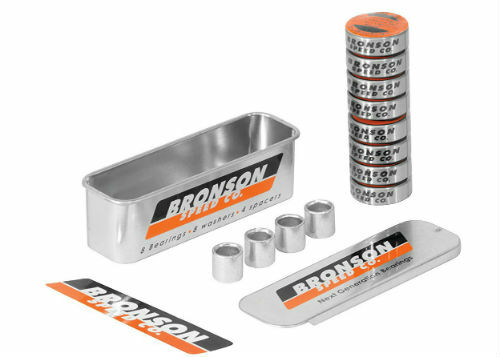 Perhaps the most technologically advanced bearings on the market, Bronson Speed Co. bearings are fast earning a reputation for speed. These mostly steel bearings include deeper-than-standard raceway channels for lateral stability. The glass-filled nylon cages have ball sockets to retain lubricant, and the races contain microgrooves to reduce friction and eliminate the wave of lubricant in front of the ball. Each bearing has only one rubber shield, with one side bare. Riders are instructed to install the bearings in the wheels with the shields out, complicating rotation. Also, the issue with high tech is that more can go wrong, so more often does. Bronson bearings are too new on the market for a consensus, but so far durability seems to be on par with its competitors. Oust Bearings claim higher overall tolerances than any other skateboard bearing, and the materials are certainly impressive. The balls are made in the U.S., and Oust says their races are polished smoother than their competitors. The Buna shields are non-contact, and they are set into unique channels to hold them in place. The resulting seal provides good protection from dirt and grime. 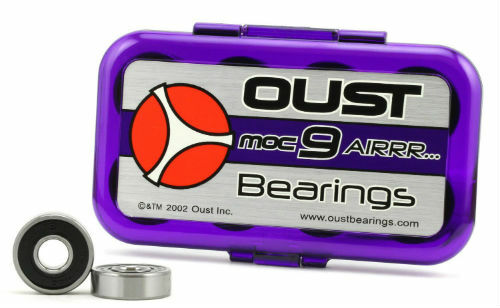 Oust claims its Moc 9 Air bearings outperform ABEC-9 bearings, as well as Swiss and ceramics. This may be the case, but they would not rate higher than a 9 on the ABEC scale. There is no rating that high for a reason, because the bearing has not been invented yet that rolls so smoothly. They are still very fast, though, and longevity is impressive. 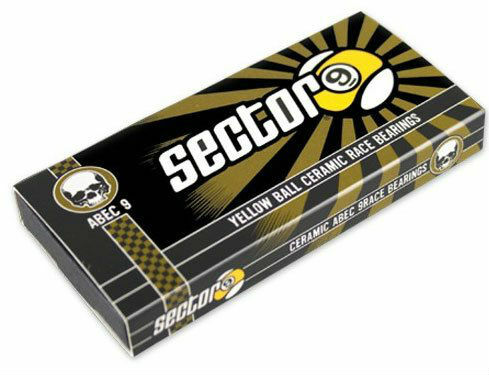 Made for longboarding, the Sector 9 Ceramic bearings have seven silicon-nitride ceramic balls, which are waterproof and corrosion resistant. They have removable rubber shields to aid in cleaning, and their nylon ball retainers hold in lubricant and keep out dirt for a long life. Ceramics may seem slow when first installed if you give them a spin test, but one push on a longboard and you should be convinced. They are smooth as warm butter and maintain speed well. The Sector 9s take a bit more break in than the top-selling brand might, but they can also be found for considerably less money. Not for the frugal, but definitely not a waste, and easily one of the best longboard bearings. What should you look for in bearings? Bearing shields are typically the walls of the bearing. They are what prevent stuff from outside from getting into the bearings and gunking it up – think about all the dust, water and mud you encounter when riding. They are a super important part of the bearing. You typically have 2 types of bearing shields. You have bearings that have a metal shield and bearings that have a rubber one. The rubber shield is removable but the metal one is not. Check out the Zealous bearings on Amazon for an example of bearings with a rubber shield and the Sackorange bearings for an example of a metal shield. Because Metal shields aren’t removable, you can’t clean any dirt that gets inside the bearing, but with rubber ones, you can conduct a thorough cleaning and after put grease directly on the bearing balls. Built-in bearings have everything built-in. They have an elongated inner race that acts as both the spacer and the washer. This means you don’t have to have all those extra parts in your wheel. I can tell you that built-in bearings make life a whole lot easier. No more worrying about losing washers or spacers and it makes changing the wheels or cleaning the bearings a lot easier. Check out the Heady shake bearings on Amazon for an example of built-in bearings. The current, standard skateboard bearing came into being in 1974, when Santa Cruz merged with Road Rider wheels, the brainchild of one Anthony Roderick. These wheels utilized precision bearings instead of the old, loose-bearing design, and skateboarding changed forever. Urethane and precision bearings combined to make skateboards faster, more responsive and more comfortable to ride than clay or steel wheels and loose bearings ever could. The American Bearing Manufacturers Association (ABMA) is an industry group of bearing makers. The Annular Bearing Engineering Committee (ABEC) is the arm of the ABMA that sets the standards which tell manufacturers whose equipment uses these bearings how to build their machines. In industry, engineers make equipment to suit certain bearings, not the other way around. The ABEC rating gives the allowable deviation from nominal of the bearing spinning on its axis at speed and its runout, or the variation in thickness of the race walls. The numbers are always odd, and they run from ABEC-1 to ABEC-9, with higher numbers meaning greater precision. Typically, longboard bearings run from ABEC-3 to ABEC-9. The number gives no clues as to what materials are used or their hardness, smoothness, vibration or precision. The short answer is yes. And no. Yes, ABEC ratings matter when comparing a company’s bearings against others from the same maker. Typically, the lower ABEC number will be cheaper and the higher number will have smoother-operating components. If you get the highest-rated bearing from one company, you are usually getting their smoothest and fastest option. It does not tell you, though, how that bearing compares to another maker’s bearings. Only experience and word of mouth can say which are the fastest bearings. Though some manufacturers may tout their space-age alloys, the most common skateboard bearing material is steel. The balls, races, retaining crown, shields and rings may all be made from steel in a high-quality bearing, or some components — especially shields and retainers — may be made from nylon, rubber, or other materials. Steel bearings are the most resistant to breakage. Ceramic bearings are still mostly steel. The only component that is ceramic is the balls, which are typically made from silicon nitride. This material is lighter, harder and smoother than steel, and it doesn’t expand when heated, so there is less friction. They also require less lubricant than steel balls and are rust-free. Their hardness also allows them to pulverize intruding debris and clean and polish the races through use. There are many ways to clean bearings. One easy way is to soak them in a jar with enough mineral spirits or water-displacing spray to cover them. With the lid on, shake them up and swirl them around. Remove them from the solution and wipe them clean, then spray compressed air from a can into them to get out the last of the cleaning solution and lubricate to finish. Another option is 3-in-1 oil with Teflon or Remington gun oil, or Remoil, which also has Teflon. The Teflon coats the balls and races and provides great rust protection, but will wash off easily at the next cleaning. Finding the right amount of lubricant to use will take some experimentation. It doesn’t take much, though. Experiment with your own cleaning methods as well. If you take care to clean and lubricate your bearings often, they will roll faster for longer and you’ll get the most for your money. If you’re keen on finding more about bearing cleaning process, I suggest you watch this video below. Alternatively, you can read our guide here. Some bearings are fast but don’t last. Others rattle and shake on down the road forever, but don’t provide much exhilaration — or acceleration. For the best of both worlds, Bones Reds are the only way to go. They may not be the fastest bearings outright, but they are plenty fast and relatively quiet. As far as longevity, none last longer. The added costs for other bearings make little sense when compared with the bang for the buck you get from Reds. For our money, Bones Reds are simply the all-around best skateboard bearing on the market.